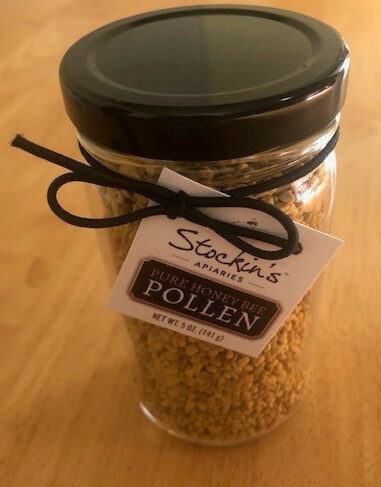 5 oz glass container- Pure Honey Bee Pollen. Bee Pollen is considered one of nature's most complete foods due to its comprehensive and balanced nutrient profile. A complete protein, rich in vitamins, minerals, enzymes, amino acids and antioxidants, it is considered an immune system builder that is known to enhance vitality.